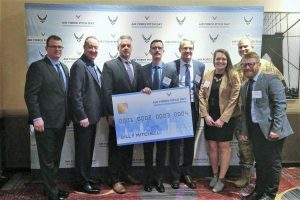 During it’s inaugural Pitch Day event, March 6-7 in New York City, the U.S. Air Force awarded 51 contracts totaling nearly $9M in a matter of minutes. Delta Development’s Pitch Day idea was selected from 417 submissions reviewed to make an in-person presentation. After giving a 5-minute pitch, Delta Development was awarded a $158K contract to develop a refrigeration product designed to help bring fresh whole blood further forward on the battlefield—saving time and lives. take on complex tasks such as FDA approvals and embark on commercialization of this product. For more information about Delta Development, visit their website at https://www.deltadevteam.com.